Elder law is becoming more important as baby boomers approach their golden years. Elder law is a distinct practice, designed to assist the elderly in protecting their assets from probate expenses, federal estate taxes and nursing home expense. 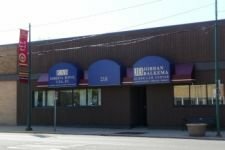 The Elder Law professionals at Jordan Balkema Elder Law Center (JBELC), are dedicated to providing intelligent, compassionate and timely information about estate planning, probate, Medicaid and all other issues pertaining to elder law.